Did you know most airports have a potential weapon within reach of angry customers hands that could kill? They have in the past. 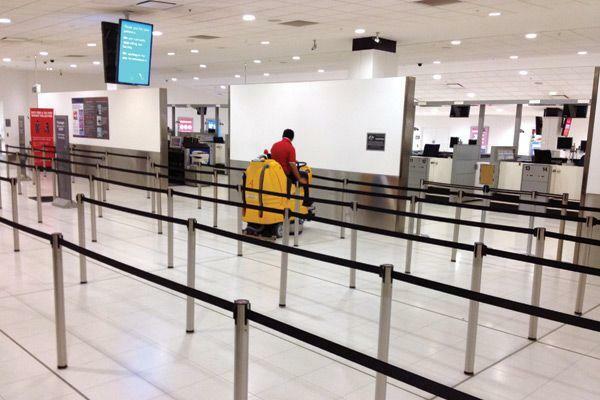 High security airports allowing this potential hazard to exist - no way! I'm not even kidding you when I say that nightclubs also have this threat. Well obviously, it's something that the passengers and patrons have access to all the time. And if you've read this far, you are still interested to know. It is the portable queue control system you all use to form orderly lines for terminal check-ins and entry into clubs and bars. The systems generally consist of multiple posts joined to each other with retractable belts or braided ropes to control the movement of pedestrians. So how are these inconspicuous, commonly used barriers a risk? In circumstances where peoples emotions are heightened by things beyond their control it can cause aggressive behavior. In airports and nightclubs, this is all too familiar. People have been often pushed to their limits whether it's lost luggage, delayed flights, rude staff or they're too tired, too frustrated, too rushed that they feel compelled to verbalise their anger. In extreme cases, some have gone as far as to use physical force to make their point. And their weapon of choice is not just their fists but the easily accessible posts that otherwise go unnoticed. 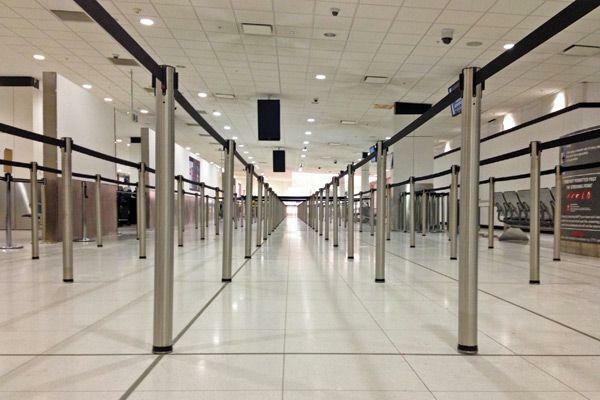 A solution is at hand in the form of Barrier Group's Neata Queue Management System. The Neata fixed posts are locked in place so they cannot be removed by unauthorised people. This protects the public from bashing attacks and minimises the risk of any liability issues. World first impact absorbing design can tilt 10 degrees on impact without sustaining damage. 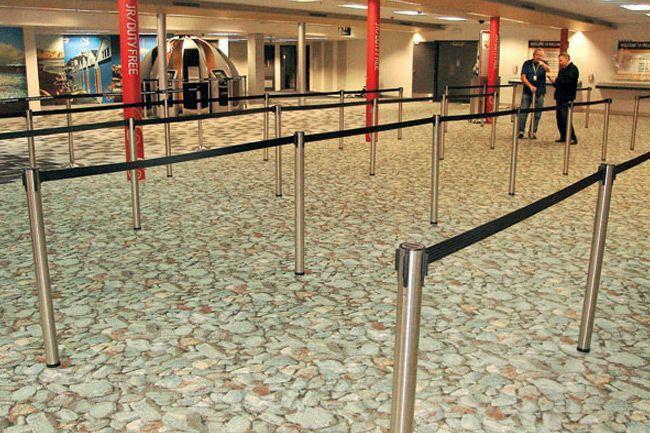 Tamper resistant to eliminate unauthorised access and improve public safety. Small footprint of 65mm diameter eliminates tripping hazards and improves wheelchair, stroller and luggage access. In-ground sleeve can be capped to provide a flush finish when posts are removed by authorised personnel. Weighing a mere 3.2kgs these posts can easily be deployed, removed or repositioned at any time by authorised staff members. I could go on a tell you more about the other queue control barriers that we supply but there's so many options that I'd risk the chance of running out of breath. So please, can you do me a favor and check them out for yourself? You really won't be disappointed.